Northwestern University Press, 9780810108080, 247pp. 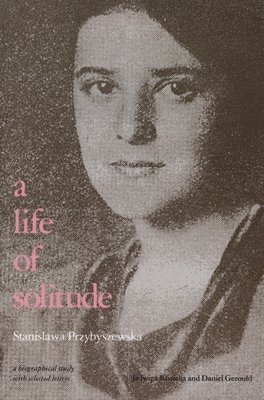 A Life of Solitude is a biography of Polish playwright Stanislawa Przybyszewska (1901-35). One of the finest plays about the French Revolution, The Danton Case, was written by this unknown Polish woman living in obscurity in the free city of Danzig. The illegitimate daughter of writer Stanislaw Przybyszewski, she became a writer against long odds and at the cost of her health, her sanity, and eventually her life. A Life of Solitude shows how she chose her vocation, examine her ideas about writing, and reveal her struggle with material existence. Tragically, she came to substitute creativity for life and clung to her sense of calling with a stubbornness that dulled the instinct for self-preservation and led to her death from morphine and malnutrition at age thirty-four. Jadwiga Kosicka is a Polish writer and translator. She has also translated some of Jan Kott's work on theater for Northwestern University Press. Daniel Gerould (1928-2012) was a Lucille Lortel Distinguished Professor of Theatre and Comparative Literature at the CUNY Graduate Center.